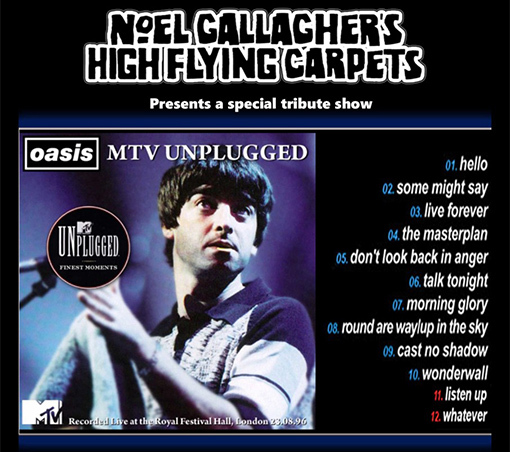 In August 1996 Oasis played MTV Unplugged in London. All the hits from that famous show will be performed AND a greatest hits section added for good measure. The MTV Unplugged setlist is below and the greatest hits section will stay a surprise for just now!